Triangle Business Journal’s 2017 Space Award Deals featured several Hillsborough Street projects. 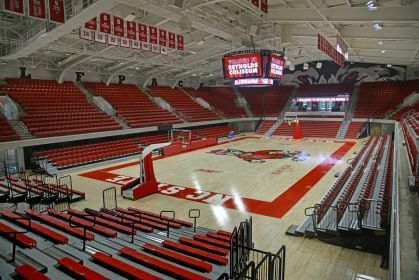 First, the $35 million Reynolds Coliseum renovation project, which overhauled the historic coliseum’s appearance and added classrooms, elevators, air conditioning, and a “Walk of Fame” honoring Wolfpack athletic legends, landed Top University Development Honors. Second, the Target project at 2512 Hillsborough Street won third place for the Top Retail Lease Award. The $7.2 million venture will be a smaller, “flexible-format” store at 22,211 square feet and is set to open in October of 2017. Lastly, a recent deal helped a local broker land the Triangle Business Journal “Busy Broker” award. The $11.6 million sale of a property assemblage on Maiden Lane was discussed in “Space” as well, and helped local Moss Withers win the award. For more information on these awards and all of this year’s “Space” awards, click here.